All Grain Plus Extract Wee Heavy homebrew recipe. 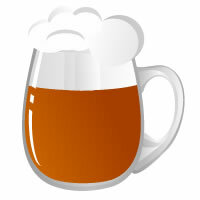 This homebrew recipe uses the following ingredients: Liquid Malt Extract - Amber - US, Golden Promise - UK, Maris Otter Pale - UK, Smoked Malt - US, Target Hops, East Kent Goldings Hops, Wyeast Scottish Ale 1728 Homebrew Yeast. Take .5 gallon of wort and boil until thick, then add to boil around 5-10 minutes before end.